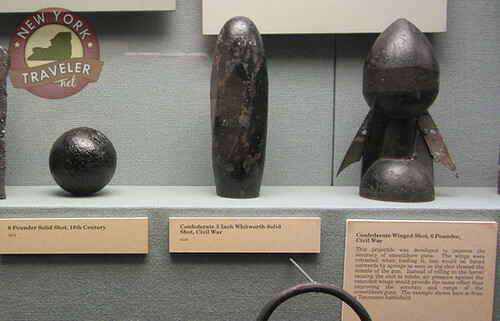 After surveying the vast and oddly ornate implements of ancient warfare, we strolled through the ages into the realm of “modern” warfare. You can read about our adventure in Part 1. 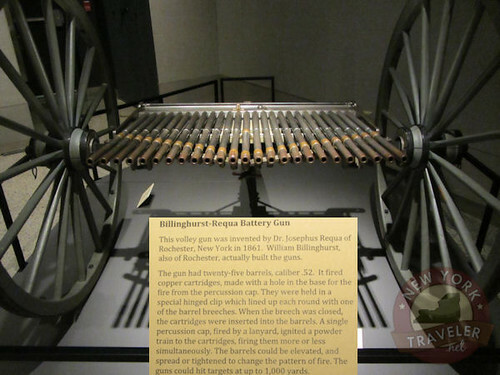 The West Point Museum features many artifacts from the Civil War and the two World Wars. 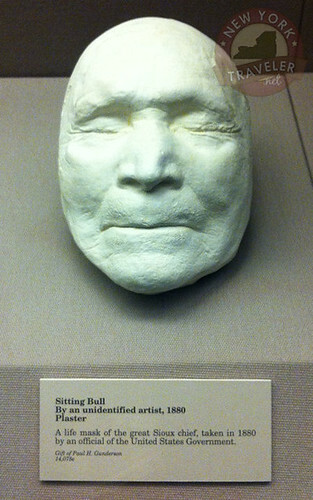 Some of the displays from the Civil War era were surprising to me. 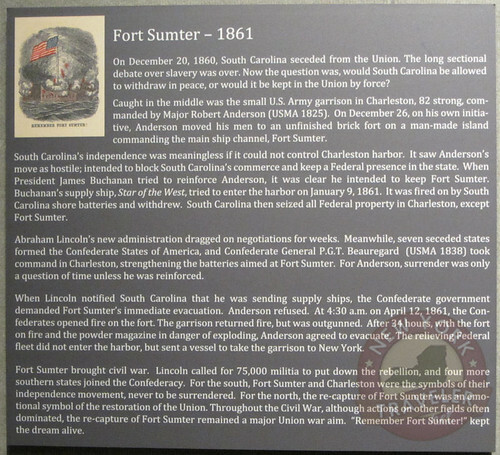 For example, one large room contained personal effects of Major Robert Anderson, (Union) commander of Fort Sumter. His memory was regaled with an enormous painting, his pistol and other items. 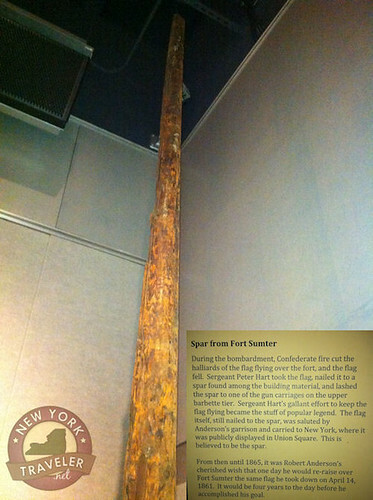 The museum even has the spar that stood at the Fort! 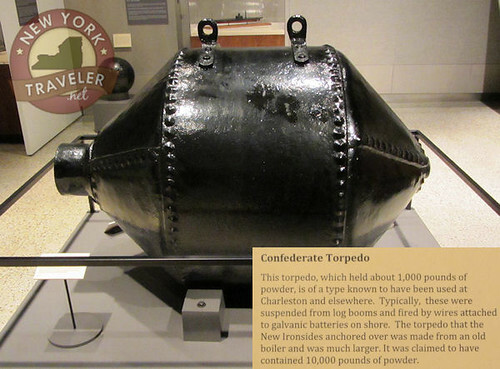 Below is a Civil War-era torpedo. Wow, I had no idea they had torpedoes back then. Apparently, amphibious warfare (submarines and the like) was really just starting to develop at this time. At the Civil War Weekend event in Peterboro that we attended shortly after our visit here, we learned of a recent discovery of the Confederate Hunley submarine in which all the men lost their lives. National Geographic relayed the August 2000 Hunley discovery of the submarine off the North Carolina coast (see news.nationalgeographic.com/news/2004/04/0409_040411_hunleycrew_2.htm). This is a model of the David, a submarine constructed similar to the Hunley. The excavation revealed the bones of the Hunley crew. 🙁 One man had been holding a silver dollar in his pocket. The story goes that the man, before embarking on the suicidal mission in the submarine, had told his family that if he perished, they’d know because he’d be the one with the silver dollar in his pocket. Very sad. 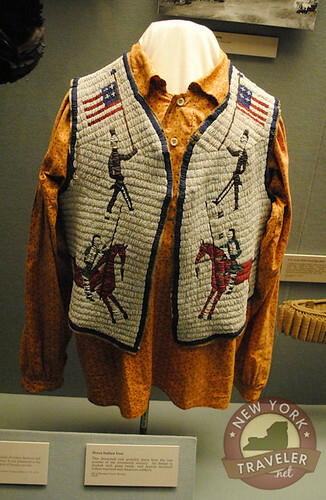 On the bright side, the museum had many displays of uniforms throughout the centuries. The plaques describe almost all of them in great detail like a fashion magazine. 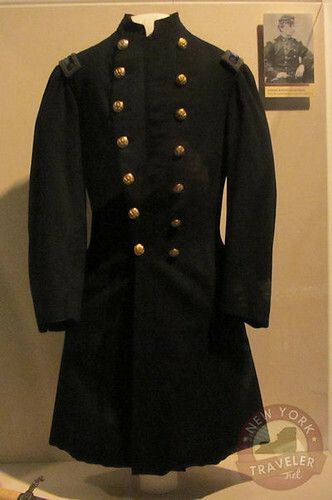 I snickered a little at the vainglory of military uniform fashion! These are solid shots. The display shows the evolution of the shots. Makers tried to create their shots to spin as they flew, giving the shots greater accuracy. I just can’t imagine one of those flying at me…. This is a trowel bayonet. When the soldiers weren’t fighting, they were digging trenches… or graves. After the Civil War and Reconstruction, the country continued on her quest of Manifest Destiny. The battles shifted away from each other to the native Indians of the Plains and the West. The museum held many more Indian artifacts, but due to the poor lighting my photos did not all develop well. You’ll just have to go to the museum and see it all yourself. I’ll have another article on World War I and World War II. The collections are simply enormous and stunning. More to come! 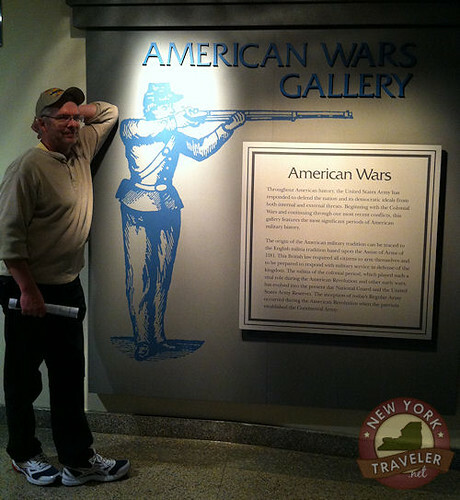 I've been traveling throughout New York State since I got the travel bug after touring the Herkimer Home on a school field trip as a youngster. We've been blogging about our travels since 2006 and have visited over half of New York's 62 counties so far. We couldn't travel the world. So we travel throughout our home state, New York. What amazing adventures we have! Read about who we are and why we do this on our About Us Page. See the Travel Archive List of all the places we've visited. And view our Google map of where we've been (be aware that it's under construction!). Thank you for visiting! New York Traveler.net blog by Mrs. Mecomber is licensed under a Creative Commons Attribution-Noncommercial-No Derivative Works 3.0 United States License. Permissions beyond the scope of this license may be available by contacting me. © Copyright site content by New York Traveler 2005-2018. All rights reserved. 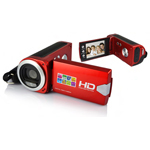 Photos and text may not be used without explicit permission. Joshua on I’ve Found the Oneida Stone! Guest reviews, advices, and hotel booking in New York. Lowest rates guarantee! © Copyright New York Traveler.net 2019. All rights reserved.